Traveling is one of those things people get the brightest memories from. And this is for a reason! New culture, interesting places, new people with beautiful spirits. So, if you are a travel agent, you have to transmit this magical feeling via your website. 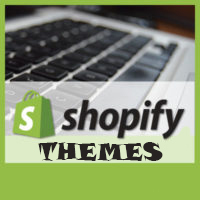 You have to check out these Shopify themes. These Shopify themes are made for travel agencies and they come with great features like Bootstrap frameworks, PSD files, retina ready designs, SEO optimization, Google Web Fonts, sliders, dropdown menus, HTML5 and CSS3 code, contact forms, and video support. Plus, these travel and tourism Shopify themes have responsive layouts, so they’re compatible with mobile devices like tablets and smartphones. Bon Voyage is a Travel Agency Shopify Theme that includes a number of effective solutions for online web projects. First and foremost, it was designed 100 responsive and crossbrowser compatible. Online chat, social options, commenting system, and newsletter subscription form ensure a more user-friendly experience onsite. The theme includes a fixed header and MegaMenu to make it easier for your visitors to find the desired content. For a more appealing visual presentation of your business, parallax scrolling and lazy load effect were added. The latter, by the way, provides for faster page loading. A good website is able to present all types of tours. It is designed in bright, cheerful colors, with palm trees, seascapes, green mountains and beautiful bridge photos. It is very easy to navigate through website pages due to visual banners, tabs in the content area and sidebar menu. Welcome message is placed above the product images and custom block can be found below it. Planning to spend vacation abroad, many tourists resort to travel bureaus. With their help, they can get thorough information about the best destinations, ways of transportation, accommodation, costs, and other important details. To promote services of travel agencies on the web, it’s worthwhile to take advantage of this theme. Displaying images of breathtaking sceneries in the header, slider, and featured sections, you’ll easily arouse people’s interest to visit one of the places shown there. Due to the combination of warm hues, vacationers will be filled with enthusiasm about using the services advertized on your platform. With yellow being a dominant color of this theme, the visitors will get a feeling that the sunshine will illuminate their trip, whether they are going to a ski or sea resort. Turning to this theme, travel agencies will allure every tourist eager to make the most of their journey. Check out this professional cruises Shopify website design to make a trendy site that will give it’s visitors a satisfying consumer experience. This particular website design is a great pick for travel agency, travel tours or travel tour operator. Owing to its fully responsive nature, you will effortlessly get through to clients who browse the world wide web on the run, while SEO-friendliness will let you boost traffic rates of your web project. Selecting this visually appealing theme with striking pictures for your webpage you won’t need to learn to code. Theme’s content hierarchy is clean and easy to understand. Richly documented and presenting free of charge 24/7 tech support, the particular website template will allow you get moving with your online project right away. Ap Eco Green is one of the most distinctive Shopify themes which offer you with a variety of templates for choosing. With five separated demos, it is suitable for different commodities such as tourism , hotel, sport, Restaurant and Multi-stores. Ap Eco Green has perfectly and beautifully combination of color, slider, banners and layout to draw visitors’ attention. This responsive template has a full width sliders and widen banner to show your new arrivals and promotion activities to immediately approach your customers ’s heart. Moreover, Social Network and blogs are nicely displayed for customer to track the information of store as Promotion or Coupon Code. Ap Eco Green is powered with AP Framework , one of the best Shopify Framework. It is fully responsive and support both Css3 and Html5, shortcodes, bootstrap3, font awesome and so much more that help to create refined web pages with semantic accuracy. Shortcode is powerful point of our shopify framework, you can create objects such as, facebook, youtube, alert or much more that would normally require lots of complicated. With perfect combination of design and technology, Ap Eco Green promises a great sense of satisfaction whenever you surf the web. What HandMade & Craft Shopify Theme To Choose? Where can you buy and download Shopify Themes?